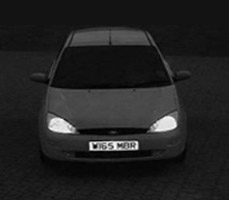 Specialist cameras which are designed to capture number plates can be used to record access to and from a site. These cameras use different methods of capture compared to a general surveillance camera and give reliable recognition whatever the weather or lighting conditions. Our CCTV Installers can not only design and install tailored systems to meet your requirements, but provide NSI Gold accredited maintenance for the lifetime of the CCTV system. 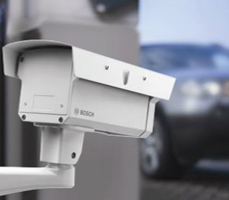 By linking these cameras to a database, automated operation of traffic barriers can be achieved. Hotels can have customised greetings for pre registered guests via an LED sign, such as "Welcome Mr & Mrs Brown to the Manor House Hotel". We can provide customers with the means to customise automated operations themselves so personalised greetings messages can be displayed to pre-registered visitors. Many customers require VNPR systems to be installed in a commercial environment such as in a hotel or private car park. When doing this there are many ways in which we can customise automated operations to suit your application. We can also customise operations suitable for a home environment to control access to your property. At Keyways Security Services we are proud to announce that we are now Platinum Partners for HikVision CCTV products. This means we are certified to install their systems to the highest standard. As platinum partners we can now supply and install a wider range of products than ever before because we are backed by one of the worlds leading manufacturers of CCTV products. When used in a hotel, we can customise greetings for pre-registered guests by linking the cameras to a database. By installing a VNPR system in your business we can automate gates and garage doors for ease of access. "We are very pleased to have established Keyways as a partner for our ABUS UK range. We thoroughly endorse and recommend Keyways as a first-class professional partner"